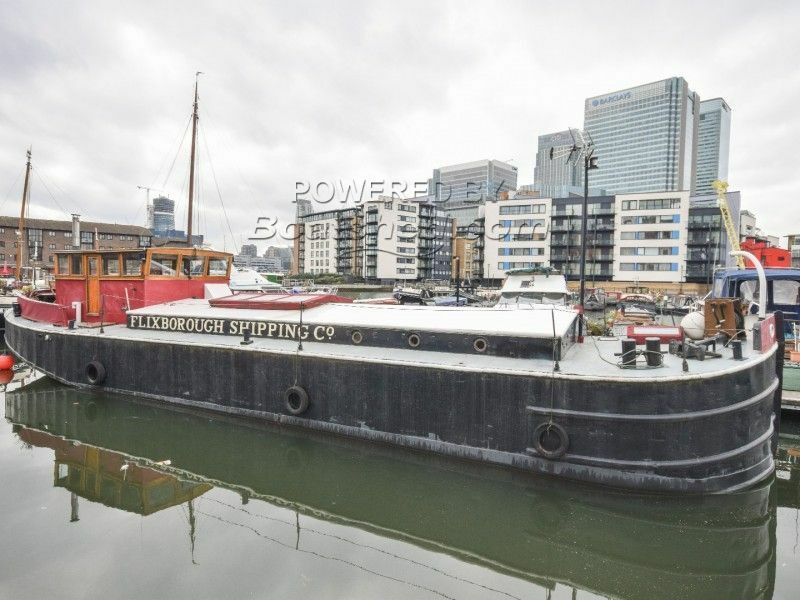 Boatshed London are delighted to offer this sumptuous Humber Barge for sale with London residential mooring just moments from Canary Wharf. Originally built in 1954, this barge has been magnificently converted into one of the finest houseboats in London with an enormous open plan living area that has loads of natural light and headroom. There are two large double cabins, a bathroom and utility room as well as extra living space in the wheelhouse that has 360 degree views out across the marina. The boat was lifted and surveyed in October 2015 so no work is required to this boat for at least the next five years and it has been meticulously maintained by the current owner. The engine and Kabola boiler have been regularly serviced and the huge engine room gives you loads of extra storage too. The boat is being sold with a transferable residential mooring at Poplar Dock marina, near Canary Wharf. The marina has a great community feel to it and with its excellent transport links into Central London, the barge is ideally located for someone working in the Wharf or The City. This barge's quality is obvious and viewing is highly recommended. This Humber Barge 70ft With London Mooring has been personally photographed and viewed by Angus Rose of Boatshed London. Click here for contact details.